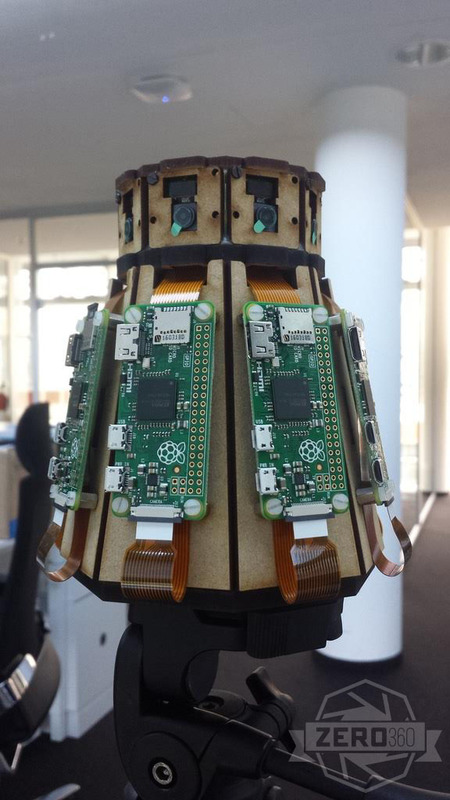 Today I have the great pleasure of introducing the Zero360 – The Raspberry Pi Panorama Camera! The idea is to be able to shoot a 360 degree panorama all in an instant. 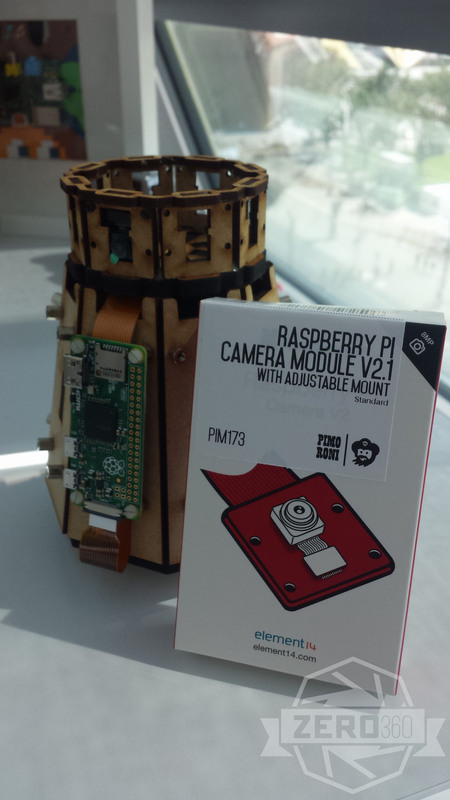 This camera (well actually cameras) is a laser-cut MDF housing that holds 8 Raspberry Pi Zeros (v1.3) connected to 8 Raspberry Pi Cameras (v2.1). I have all the Raspberry Pi Zeros connected via OTG to 2 Raspberry Pi3 Model B’s. That’s 4 Zeros per Pi 3. They are both connected via wifi to an access point (for now that’s my cell phone) and powered by the 2.5A official power supply. 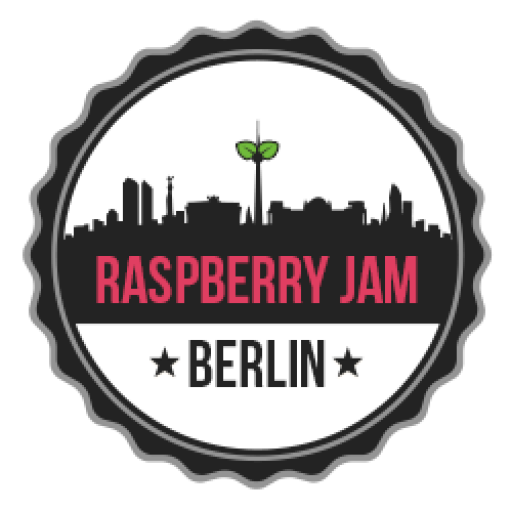 I contacted my good friends, and sponsors of the Raspberry Jam Berlin, Pimoroni for help in designing and laser-cutting a prototype based on my specifications. Honestly I was dumbfounded at what arrived a few weeks later! Big thanks especially to Connor who did a phenomenal job on the design! Part 1: Reason for building the Zero360 and important notes on making panoramas. 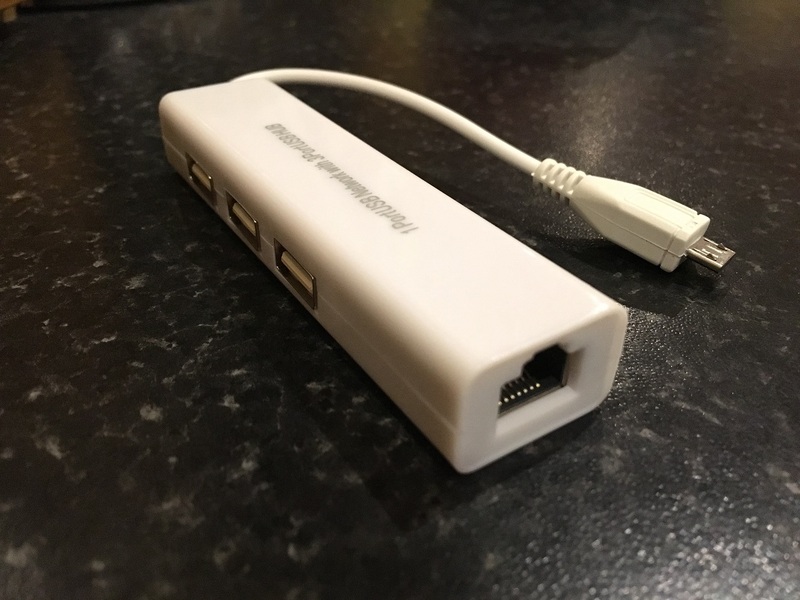 Part 2: Connecting, via OTG, a cluster of Raspberry Pi Zeros to a Pi 3. Part 3: The code to take all 8 images at once and stitch them together. All images were stitched on a Mac using AutoStitch. if the construction is very solid, you can export the projection map from autostich and transform the pictures on each pi individually (e.g. with hugin and the underlying command line programs) and then enfuse or combine the image directly on the box itself. If you can control the expose, a HDR 360 is also possible. I know that 360 images are the hit now, but a “real” 360 3D image would be even greater, yet much more complicated to realize. This could be the next step! Actually I am still looking into on pi stitching. The Therory is sound but getting working is another thing. AutoStitch does not let you save the projection map but I could use hugin itself. Battery and wireless charging on the Pod would look great to make it poratable , The base can be wireless charged and a battery pack in the middle of the tube , Please don’t paint it like a dalek 😛 But it would be cool if it also had magnets on the bottom to rotate while charging on the Pod , you know like those rotating lightbulbs or Plants you see on Kick starter . 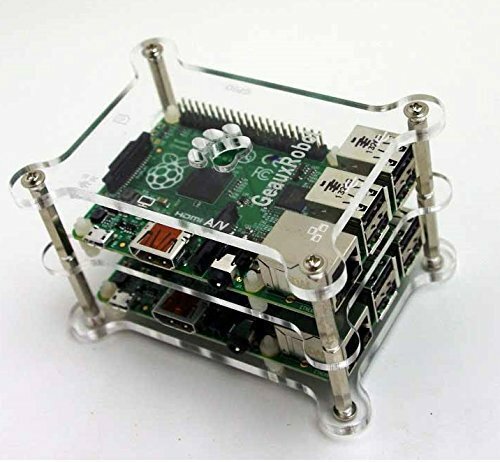 I like the battery idea but because of the I need to use the 2 pi3’s has a hub (and later for processing power) I can’t acutally fit all that to the ‘Dalek’. Have you a Build video or project video how you built this and what you are using ? The sticky ‘protective’ film on the camera lens is only meant to protect during shipping and handling, it’s not supposed to stay in place in use – it’ll lower the quality of your images a little. Nice project! I’m also working on 360 raspberry pi project see http://www.greenfield.tv in holland. Nuts got a new version on its way for a building and painting video!… I will inform the Doctor! Proficiat with perfect concept to create such a 360 degrees camera. Its a beautiful project and like to knows about the concept. If possible I like to receive more detail information of th overlapping of the image’s. Hi, how did you connect the Pi zero with pi 3? just USB OTG? Then how did you access the file system of each Pi Zero using Pi 3 ? Any programming in python ?